I was very excited recently to open these new gold shoes! Glitter and holo in one, plus a soft sole - so ideal all-day-into-evening shoes. I bought them from Everything 5 Pounds; a site I'm a regular visitor to. It seems to have frequent drops of over-stocked high street brands and labels, and even items with names I haven't heard of tend to be pretty decent in quality. As you can see, these came boxed and wrapped with stretch frames in, not bad for the same price as a sandwich and a drink huh? I am never without at least two pairs of gold shoes in my wardrobe: they really are deceptively versatile. Think about gold or silver jewelry; depending on your preferences, you'll wear it with most outfits. Shoes work in the same way. In addition, because there is a level of 'statement' with a metallic shoe, it functions equally well styling up plainer, daytime clothing or matching a bolder or celebratory look - taking you anywhere, work, weekend, out, out-out and even formal occasions. As an alternative to brown shoes with tweeds, cords and velvets. The contrast between earthy fabric and shiny shoe is fantastic - no further statements needed. With slighty over-long flares or wide trousers - just letting them peek out. As a contrast to denim. It works equally well with dark, smart pieces as pale, distressed styles. With a black suit, on days I have to look more corporate than I feel. Is there anything I wouldn't wear gold shoes with? I'm not sure. Certainly I've made choices based on shoe style and shape, but there really are few (if any) items of clothing that deny me the option. So, do you gold shoe? Silver and gold shoes will forever remind me of having metallic sandals as a child! That and my first school best friend landing the role of the Queen in the school play but turning up wearing stripy socks and ending up having to perform in her socks and silver sandals! I DO gold shoe (and silver, and copper). Metallics are always a neutral in my world. Those are such lovely shoes, and the price is obviously great. They're lovely, and you know I'm going to have to go and have a little look on the website now. It's your fault if I spend any money! No, I haven't as yet usually associating gold and silver with evening wear. I do have a pair of silver brogues, though, bought at Lidl reduced to £5.00! I am going to check out the 'Everything £5.00' store; I'd seen it advertised but stayed away!! 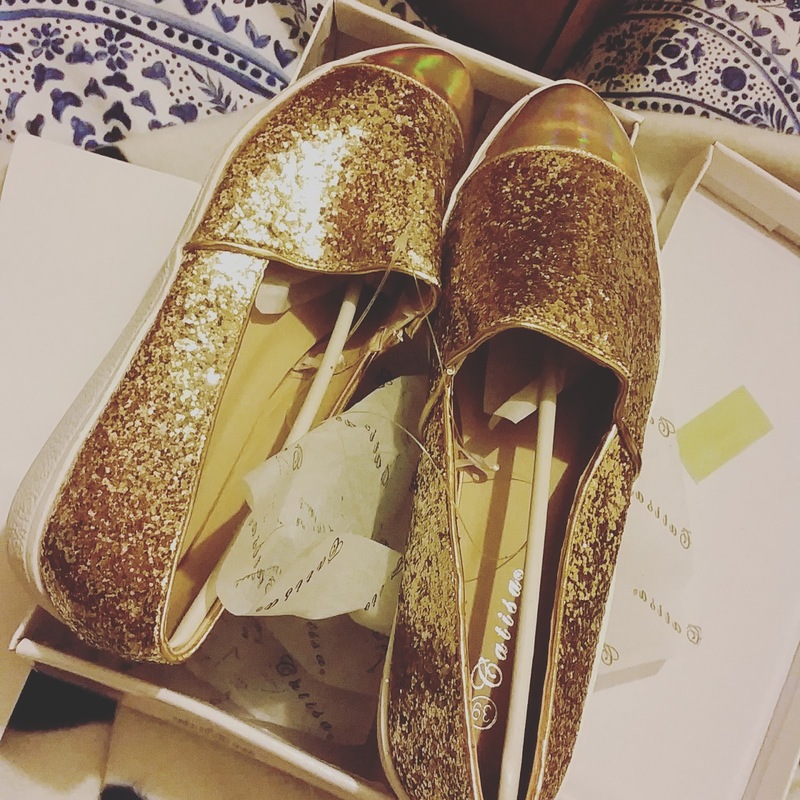 Seriously gorgeous gold shoes! I have a real passion for metallic shoes, they work so well as neutrals.